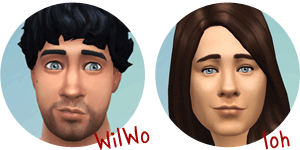 WilWo is playing The Sims since The Sims 1 was published. His Sims are allowed to hang out and party, only seldom they need to experience the serious side of life. WilWo’s priorities are website administration, testing, gaming, meshing, music making. loh ist playing The Sims since The Sims 2 – University. She got to know them on WilWo screen and was first unappreciative to be followed shortly afterwards by fascinated. Her Sims are always stressed and working to their max. loh’s priorities are texting, testing, fotoshooting, building and texturizing. 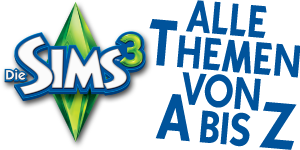 About 5 years ago we started as a Sims 3 tutorial site and quickliy changed into a The Sims game guide. 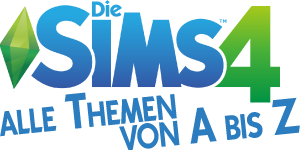 Since september 2014 we are working on our Sims 4 game guide. We are not going to publish any more English Content here at simension.de. But we started our international website at simension.com where we provide our custom content for the Sims 4. You are welcome to visit us there as well! We welcome links to our website, feel free to link to our articles anytime. Here you can find our banners and urls. It is not allowed to deeplink any pictures, pdf, zips or other data files though. We have to pay the bandwidth for these files. For users to see or download these files they need to visit our website. Thank you! It is not allowed to publish any of our content, medias or downloads on other website or outside the internet without our written permission. Here you can find all data to contact us. We spend a lot of creativity and time producing our content to offer our audience an unique and satisfying experience. Please respect our work! Sims update aggregator sites and link collections including forums are allowed to link our tutorials or downloads and show their pictures. They are even to deeplink the pictures though not the download file itself. Thank you for your promotion! If you have questions feel free to ask with a comment.